Whether you’re using your Android as a portable movie theater or just viewing homemade clips, it’s important that you use the video player that best suits your needs. Convenience, performance, flexibility — all of these things matter. Why settle for less when you don’t have to? There are so many video players to choose from, which is great at first glance but proves to be a double-edged sword thanks to the paradox of choice 6 Mind-Blowing TED Talks About Psychology & Human Behavior 6 Mind-Blowing TED Talks About Psychology & Human Behavior The human brain is complex and confusing, which explains why human behavior is so complex and confusing. People have a tendency to act one way when they feel something completely different. Here are a few... Read More . Long story short, having too many choices can make it more difficult to pick one, thus resulting in stress and dissatisfaction. Allow us to alleviate some of that burden by narrowing down the field for you. Here are some of the best of the best as far as Android video players are concerned. With over 2.3 million ratings on the Play Store giving this app a near perfect score, MX Player is without a doubt the most popular video player on the market. The best part is that the free version has no limitation on features, though it is supported by ads (which can be removed by the pro version for $6). What makes MX Player so great? The two most notable features are hardware acceleration and multicore decoding, which both serve to improve performance by a massive margin as long as your device supports those functions. Plus, it supports nearly all of the most popular video and subtitle formats. Other convenient features include gestures for zooming and panning around video, scrolling through and resizing subtitles, and a Kids Lock function that prevents actions like making a call or switching to other apps while video is playing. There’s a reason why so many think MX Player is the best Android video player Is MX Player the Best Do-It-All Movie Player for Android? Is MX Player the Best Do-It-All Movie Player for Android? If you're looking for a solid video player for Android, MX Player might be your best bet. Read More . 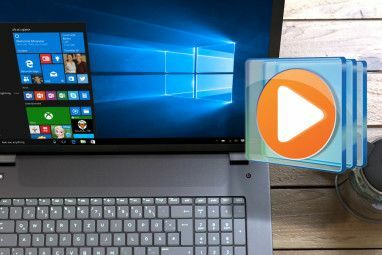 VLC Media Player has long been one of the most popular cross-platform media players 6 Cool VLC Tips & Tricks You Might Not Know About 6 Cool VLC Tips & Tricks You Might Not Know About VideoLan's VLC media player is a real box of tricks and is just as effective on a Windows operating system as it is on Mac or Linux. 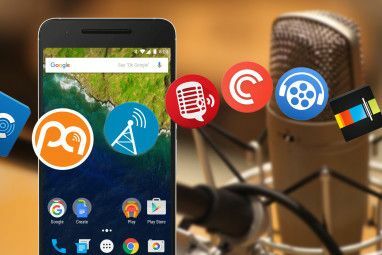 Those of you who are already using VLC... Read More , but it wasn’t until 2012 that the team went public with a beta version of VLC for Android devices. Two years later, the app is still technically in beta development, but it has progressed quite a bit in that time. Right now, VLC For Android supports most of the popular video and subtitle formats. It can perform hardware acceleration, but only a limited set of supported hardware, so it may or may not be available for your device. Other than that, it has a clean interface and it works well right out of the box. But the biggest draw for this app is the team behind it. Over the past decade, they’ve proven themselves to be capable of developing a media player that’s as powerful as they come yet available without a price tag. Give it a few years and I wouldn’t be surprised to see VLC For Android at the top of the market. DicePlayer has all the foundational elements that are expected of a modern video player: hardware acceleration, subtitle support, and the ability to load a wide range of video and subtitle formats. It’s pretty basic but extremely functional, making it a strong contender if you’re looking for something with no frills. 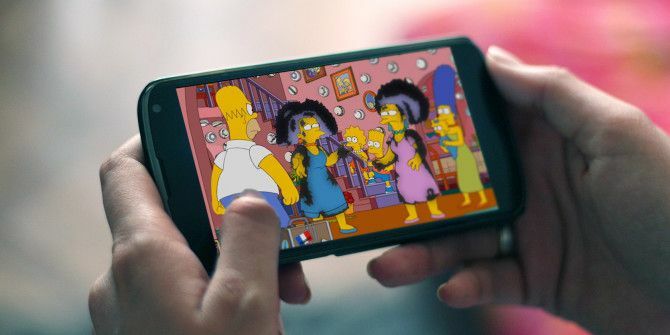 However, it does have a unique feature called POP-UP Play that switches from fullscreen mode to a small floating overlay player, which allows you to use other apps (such as a browser) while still watching your video. This overlay player can be dragged around and resized if necessary. Like MX Player, BSPlayer supports both hardware acceleration and multicore decoding for strong video playback performance. It also supports nearly all formats for video, audio, and subtitles. So what distinguishes this app from the other? What immediately caught my eye was the automatic subtitle finder. As soon as I loaded the video in the screenshot above, BSPlayer prompted me with dozens of potential subtitle matches from its online database. This is extremely convenient if you’re like me and prefer to have subtitles all the time. 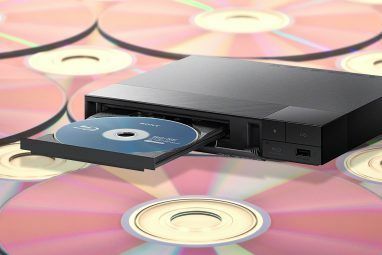 Another standout feature is the ability to play videos straight from uncompressed RAR files or directly from shared drives on a network over WiFi. Supported “network drives” include external USB drives, Samba drives, and PC shared folders. Nearly all features are available in the free version but it is ad-supported and the pro version is a bit pricey at $6.75. The pro version also comes with experimental support for Chromecast. If you like to multitask, you’ll love DicePlayer’s POP-UP Play feature that lets you watch while doing other stuff. VLC For Android is great, especially because it’s open source software What Is Open Source Software? [MakeUseOf Explains] What Is Open Source Software? [MakeUseOf Explains] "Open source" is a term that’s thrown around a lot these days. You may know that certain things are open source, like Linux and Android, but do you know what it entails? What is open... Read More , but you should only use it if you aren’t bothered by bugs and beta software What Does "Beta Software" Really Mean? What Does "Beta Software" Really Mean? What does it mean for a project to be in beta and should you care? Read More . BSPlayer works the hardest to provide a convenient experience that requires no effort on your part while MX Player is simple and clean with a huge userbase. Both are supported by ads though, so be prepared to fork over a few dollars to unlock their pro versions, unless ads don’t bother you. Which one do you like best? Or maybe your favorite player wasn’t mentioned here? We’d love to hear your thoughts. Share with us in the comments below! PlayerXtreme Media Player is the best. Also, ArkMC is a nice option to playback and stream videos. Is there a video player for android with built-in gamma/brightness corretion out there? Strangely no one seems to have this ability unlike their counterparts for windows and I found some movies too dark to watch on my tablet, especially outdoors. vital player is the only one which can do that in android. None of the above. I recently discovered KMPlayer after buying a Lenovo tablet and wanting a video app that was as clean and modern as the stock one on my HTC One M8. VLC is given on my Linux Desktop but I find it a whole lot less satisfactory on Android. I purchased MX Player years ago & it is very functional, but it looks exactly the same as it did then. MX needs a major UI update so it no longer looks like A Windows Vista app. Great recommendation on KMPlayer. It certainly looks sleek and modern. MXPlayer's UI is a bit outdated, I agree, and hopefully the devs give it a facelift. What do you mean by "it looks like a Windows Vista app"? Is that just slang for "outdated"? Because it doesn't actually look anything like Vista to me. BS for local network access and Chromecast support, as well as playing virtually anything right out of the box. I would personally suggest HD Video Player. User Friendly, Fast responsive time, Amazing mesmerizing video quality. MX player is the best I ever tried. BS Player too supports pop up, though in only one of the decoding modes. Oh is that so? Awesome. Good to know, thanks! And none directly support Chromecast making them all pretty much an embarrassment. BS Player is working on Chromecast support, though you can only access it with the Pro version right now. Otherwise, yeah, it would be fantastic to see native Chromecast support become a staple across all of these video players. Who knows a player which play videos in h265 format like divx pro in windows? According to Ørjan, VLC should handle H.265 pretty well. I believe MX Player also supports H.265, though I'm not sure if the performance is good or not. Thanks, that's good to know. Hopefully the other players catch up with good H.265 support soon! MX Player without any doubt! It can play anything you throw at it! MX Player is the best choice. Dice also has variable speed playback. That makes it the clear winner for me. I can zip through video podcasts at 1.5x. MX Player is always best choice for Video Player on my Android device. VLC and Moboplayer support this too, although admittedly you can't seek with VLC. Mobo Player. The ultimate but sadly underrated. I agree. Mobo Player was one that deserved an honorable mention. Is there something specific about it that makes you prefer it over the others? For it handles about all formats, supports screen gestures, has a floating window. In essence, it has all of the features of the other players mentioned above. My go-to media player has been the MX Player since the day I got my Android tablet. It plays my MKV files with no issues and so far hasn't errored, crashed or anything. Nice write up. I tried others but keep going back to MX Player since it's the "kitchen sink" of media players the way VLC is on the desktop. It's also the only one that seems to properly handle anime subtitles correctly when they pop up in the middle of the screen off-centered for things that appear on the screen like newspapers or signs, etc. Good point about the subtitle positioning. Support for that should be a staple feature of all video players as overlaps can be pretty frustrating.